Is there a role Leonardo DiCaprio won’t take? Since the birth of his career, DiCaprio has gone from pretty-boy heartthrob to slightly tougher-looking leading man through to whatever it is he’s doing currently: taking every role under the sun. 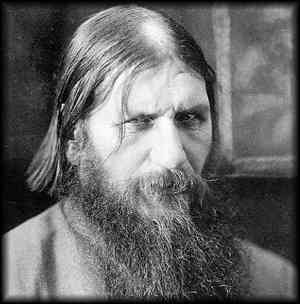 So it’s not surprising to hear that supposedly every director’s favourite leading man (god knows why) is to play the dead Russian guru Grigori Rasputin in a biopic. Yes, he of the Bananarama “Russia’s greatest love machine” ditty. The guy who cajoled his way into the Romanov house before the revolution. He who claimed to have healing hands. He who porked a lot of women. He of the distinctly Jesus-like beard and robes. That’s him. Leonardo DiCaprio’s not exactly the perfect choice for that role, is he? But that’s never stopped a DiCaprio casting shoo-in before, as anyone who’s seen him inexplicably playing J Edgar Hoover, will attest. So we should hardly be surprised that Warner Brothers is railroading the popular nondescript actor into the role of a man who appears to share nothing in common – nothing whatsoever in terms of appearance, voice, height, anything at all besides gender – with the character being portrayed.